Neuromarketing assesses how our brain reacts to stimuli, not simply what we self-report in qualitative surveys. These are truths that our impulses write onto MRIs. Sometimes, as several studies below illustrate, those two systems—the conscious and subconscious—offer conflicting interpretations. Importantly, scientific knowledge is almost always built incrementally. Don’t expect a single paper to define, for all time and every business, the ideal pixel width for product images or sample size for accurate sales forecasts. Every study is a step or building block or book page—pick your preferred metaphor—toward consensus. 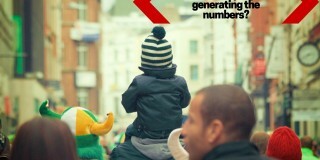 These ten steps, one for each study, are some of the latest contributions from neuromarketing. All were published between 2016 and 2018. For practitioners, they reveal the potential of neuromarketing research and help guide heuristic analysis. Small-scale neuromarketing tests for product messaging may accurately forecast sales. 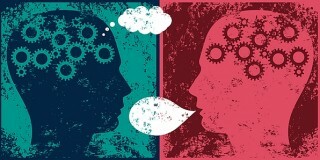 Qualitative research on consumer preference for messaging may be a poor predictor of sales. Which is a better predictor of purchasing behavior—qualitative research or fMRI scans? Simone Kuhn, Enrique Strelow, and Jurgen Gallinat began their study with 18 women between the ages of 23 and 56, all self-described weekly chocolate buyers. The women were shown a product picture and six related communications, including a control (a toothbrush). The product picture appeared for 2 seconds, followed by a 3-second display of a marketing communication, then the product again for 2 seconds. 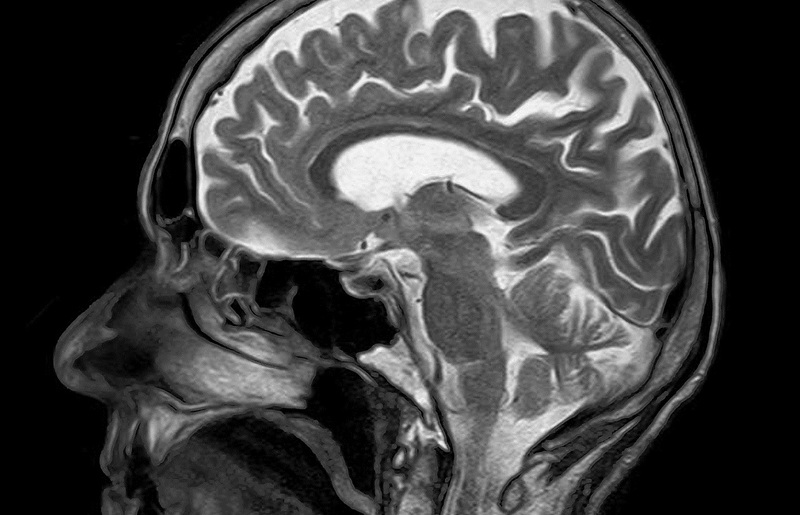 Researchers used fMRI imaging of several brain areas during the test. The fMRI imaging of participants during marketing communications (B) predicted sales (D) better than subjects’ stated preference (A). Afterward, the participants were asked to order the communications according to their liking. The researchers created three sales forecasts: one based on stated preference, one based on brain activity during viewing of the communications, and one based on fMRI changes to product viewing before and after communications. German supermarkets displayed each test treatment for one week, with researchers recording actual sales. The strongest correlation between forecasted and actual sales came from the fMRI signals during communications; the pre- and post-messaging fMRI data was second. The subjects’ stated preference finished last. The present results demonstrate the feasibility to use neuroimaging methods in a relatively small sample of participants to forecast the influence of communications on the actual consumer behaviour at the point-of-sale. Read the full study here (gated content). Troves of online market-level data make it possible to validate individual neuromarketing tests against collective, real-world consumer decisions. For their study, they showed 36 crowdfunding requests to 30 subjects. Subjects decided whether they would fund each project, with real money taken from their study compensation for projects they supported. During the initial selection process, researchers recorded subjects’ brain activity. Afterward, the subjects rated their opinion of each project (positive or negative), the strength of that opinion, and whether they thought the project would ultimately reach its crowdfunding goal. Researchers replicated their findings in a second study. Audio content (e.g. podcasts) may have the potential to create stronger connections with consumers, even if their stated preference is for video content. Does audio or video content generate more user engagement? What people claim versus what their biometric data shows, the authors found, doesn’t align. For their study, the researchers identified equivalent audiobook and film scenes from adaptations such as Game of Thrones and The Silence of the Lambs. They selected “emotionally charged scenes” in which the audio and video were nearly identical. 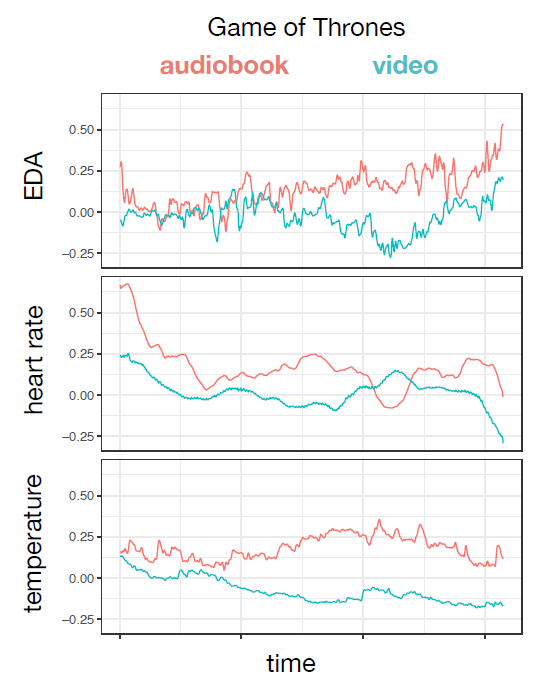 In terms of raw measures, their average heart rate was higher when they were listening to audiobooks by about two beats a minute; they had a greater range of heart rate by about 4 beats per minute; they were roughly 2 degrees warmer in their body temperature (1.66°C), and their skin conductance (EDA) was higher by 0.02 microsiemens. Audio content may engage users more because it requires active participation to create a scene in the mind’s eye. The act of listening to the narrative recreated the same basic pattern of brain activity as telling the story, suggesting that listening to the story is qualitatively and quantitatively similar to experiencing the speaker’s memory of the events. Moreover, activation was not limited to regions of the brain classically related to language, but also involved emotional, sensory and motor systems consistent with the notion that at some level, the listener actually experiences the story. Neuropricing may better assess consumer valuation of non-core product benefits like ethical production, region-specific origins, use of organic materials, etc. How does qualitative data on willingness to pay (WTP) compare to neuroscience data? Carsten Herbes and three co-authors tackled a narrow topic—consumer willingness to pay a premium for electricity from green sources—that has broader implications. In the 40-participant study, the researchers first provided participants with a questionnaire to rate their willingness to pay between 90% and 130% of their current energy costs to source their electricity from partially or entirely green sources. Neuropricing research showed that consumer willingness to pay consistently rose to the high end of qualitative estimates. Researchers monitored brain activity and reaction time to each participant’s choice for 50 random combinations of packages, prices, and binary descriptors. Neuropricing delivers higher WTPs by the same respondents and thus apparently avoids the effects of strategic behavior. This yields a fundamental insight. Namely, a range of potential biases in and limitations of self-reported WTPs can be eliminated by our methodology. The ability to obtain valid results with a small number of test subjects. To test their hypotheses, they divided 245 research students into six groups. Each group saw a different version of a website for an actual bookstore—some saw the real version, others viewed iterations that lacked security seals or return-policy information. Low risk: Determine whether, hypothetically, they would purchase a book from the site. High risk: Determine, in reality, whether they would provide their personal information (name, address, phone number) to the site in exchange for a $20 gift card. In other words, the “look and feel” of the website mattered more than explicit trust guarantees when it came to high-risk decisions. Read the full study here (gated content), or the related Harvard Business Review article here. Offering familiar, trusted online payment options, such as PayPal, may reduce buying friction for reluctant customers. 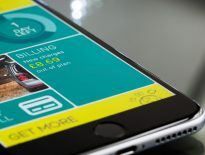 Do different payment options make users more or less confident? Authors Luis-Alberto Casado-Aranda, Francisco Liébana-Cabanillas, and Juan Sánchez-Fernández tackle this topic—one they argue has been largely ignored. Their work focuses on two primary means of payment: debit cards and PayPal. Using MRIs to identify the “neural effects,” they invited 30 participants to complete simple online purchases. not only a greater intention of use toward PayPal, but sees it as more secure, rewarding and affective [sic]. Debit card e-payments, by contrast, elicit brain activations associated with negative and risky events. Interestingly, the right cerebellum response (responsible for value encoding) covaried with more positive use intention toward Paypal. The most consistent design element associated with site trustworthiness—more than any single choice in color, font, or layout—was effort. Cheap design looks…cheap. 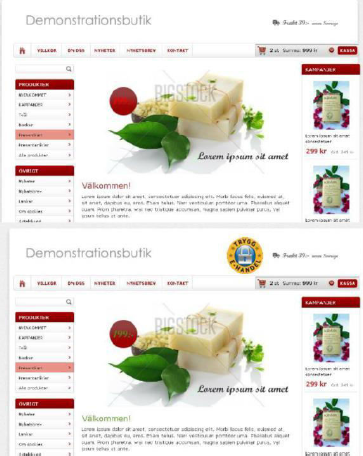 Which design elements make an online store trustworthy? Gustav Bergman and Felix Noren, in their study, focus on the design aspects that generate trust upon a first impression. A study design without (above) and with (below) a trust seal. For the researchers, a primary challenge was managing the personal preferences of their participants—high saturation colors and fonts like Comic Sans, based on qualitative responses, reduced the perceived trust. We can see a difference in how much time we took to make one image look nice. The more time, the more “yes” it got [. . .] So, there is a certain connection between the expression “professional” and the amount of time we laid down on the image in question. Negative framing for product pages may initially generate higher levels of engagement but fail to convert more visitors. For products in a highly competitive market, positive framing increases the perception of value. Does a potential loss or gain make a product seem more valuable? Authors Jia Jina, Wuke Zhangc, and Mingliang Chen investigated how framing impacted consumer attention and decision-making when it came to mock product pages featuring wool coats. An important dividing line in their study was the early versus late cognitive stage. Using electroencephalography (EEG) to measure event-related potential (ERP) waveforms, the researchers found that negative framing generated the most activity in the early cognitive stage—but that same heightened level of interest also led to more difficult decision making. In contrast, positive framing, while generating less early-stage interest, made decision-making easier. In the late cognitive stage, it also generated a perception of greater product value based on higher expectations for future performance. Any form may be an opportunity for influential messaging, but the cognitive distance between the message and the intended action may have the greatest impact. Can you add a message to your CAPTCHA to influence user behavior? 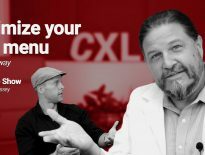 It’s an obscure opportunity, but in conversion optimization, you might as well turn over every stone. 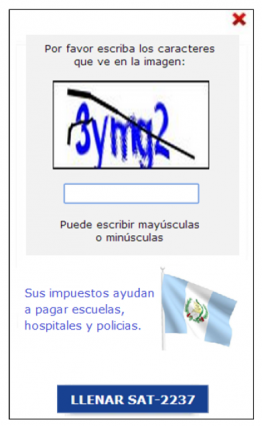 Stewart Kettle and his four co-authors (in addition to earning “Academic Article Title ‘Pun of the Year’”) tried to see if CAPTCHA messaging could improve tax collection in Guatemala. As their title suggests, the answer was no. The researchers compared the amount of tax declared among a randomized group of more than 627,000 taxpayers to the messages the taxpayers saw in the pre-form CAPTCHA. However, none of their six treatments (in addition to the message-less control CAPTCHA) had any impact on the total tax declared. Treatments ranged from messages highlighting the public use of tax funds to subtle threats of enforcement against tax evaders. The fact that all of the six treatments were found to be ineffective (rather than some) supports the hypothesis that the setting in which the information was conveyed may have been crucial here, rather than the content of the messages. Recall for ads may be low across all platforms, but those with a simpler interface may earn more user attention. Which platform—website, social media, or third-party review site—has the “stickiest” ads? Authors Francisco Muñoz-Leiva, Janet Hernández-Méndez, and Diego Gómez-Carmonac, sought to answer the question by measuring the visibility of ad banners on three sites: a hotel blog, its Facebook page, and TripAdvisor. Using eye-tracking measurements and self-reported recall, the authors found that the ad banner on the social profile—more than the blog or TripAdvisor—earned the most attention and generated the highest (albeit limited) recall among participants. We could say that participants not only focused on the banner sooner, but also more times and for longer, although it was located in the same position on all the websites. This may be due to the fact that the complexity of a website’s design (text size and format, position of images, etc.) can have an effect on the viewing patterns. [. . .] In our case, the Facebook proﬁles had less editorial content than the rest. In all instances, however, overall banner visibility and recall were low. As the authors suggest, if users are seeking information, an advertisement may seem like an “obstacle,” not an offer. A single research study is rarely the defining opinion. Instead, for experts, each study adds to a baseline of knowledge—sometimes aligning, sometimes conflicting with past research. For conversion optimization, heuristic analysis is the starting point. The quality of that initial, subjective analysis, which ultimately guides test selection and prioritizes implementation, depends on the depth of your expertise.